Did you know that the average person holds more than ten jobs during his or her lifetime? Some professionals even change careers five to seven times. Although these individuals may hold one or more degrees, their previous education might not meet the requirements of their new career field. This is especially true when entering a technical field like nursing. To qualify as a registered nurse (RN), a candidate must hold a hospital diploma, associate’s degree in nursing (ADN), bachelor of science in nursing (BSN), or direct-entry master of science in nursing (MSN). 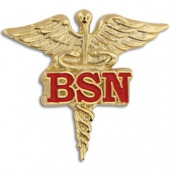 Most top healthcare employers prefer to hire RNs that hold at least a BSN. Fortunately, a unique program exists that allows highly motivated students with a non-nursing bachelor’s degree to pursue a BSN at an accelerated pace. A typical diploma or ADN program takes two to three years to complete, while a traditional BSN requires four years of fulltime study. However, an accelerated BSN earned as a second degree can be completed in just 13 to 16 months. Upon completion of the program, students are prepared to take the National Council Licensure Examination for Registered Nursing (NCLEX-RN), which is a mandatory requirement for state licensure. Graduates are also qualified to enter an MSN program at a later date, which could further enhance their career options. Accelerated BSN programs are offered at four-year colleges and universities. Enrollees will take the same core courses and complete the same hands-on clinical training as traditional BSN students. The core curriculum includes fundamentals of nursing practice, pharmacology, pathophysiology, global health and policy, leadership and management, and community health, as well as the nursing care of adults, women, children, and families. Many of these courses include a clinical component. To ensure that the program progresses at an accelerated pace, students can expect to spend at least four consecutive semesters in the program. Tuition costs for accelerated BSN programs vary greatly by school. Although the program may be completed in less than two years, tuition costs can still be as high as a traditional BSN program – especially for top schools. We reviewed tuition costs for dozens of accelerated programs, and we found that tuition ranges between $30,000 and $75,000 for the entire program. There are several ways to manage tuition costs, such as attending a state school or completing prerequisites at a community college. However, no matter how much you spend on the degree, the investment will pay off. Registered nurses are among the highest-paid healthcare professionals, with a median annual salary of $66,220. High-performing RNs earn more than $80,000 per year, and those who pursue graduate education often earn $100,000 or more annually. Changing careers is not easy, but choosing the right degree program will make the transition much smoother. You can browse our website’s directory of nursing schools to find the best accelerated BSN degree programs in your local area.